Recently I’ve read these two books which I think are extremely helpful, particularly if you’re interesting in photography or you suffer with anxiety. The first book is ‘Read This If You Want To Take Great Photographs‘. This is such a helpful book if you’re starting out with photography or you want to take your photography skills one step further. It talks all about shutter speed, aperture, what the ISO does on your camera etc. All the things you need to know about if you want to shoot your photographs in manual mode. Which can be so helpful, because I personally feel shooting in manual can make all the difference between an average photo and one you’re really happy with. It has some gorgeous photos within the book as well and mentions some famous photographs which is quite interesting too. I think this is worth getting your hands on if you’re interested in photography! The second book I’d highly recommend and haven’t heard anything about before it ‘Mindfulness On The Go‘. This book is amazing if you suffer with anxiety or maybe suffer with anxious spells from time to time. 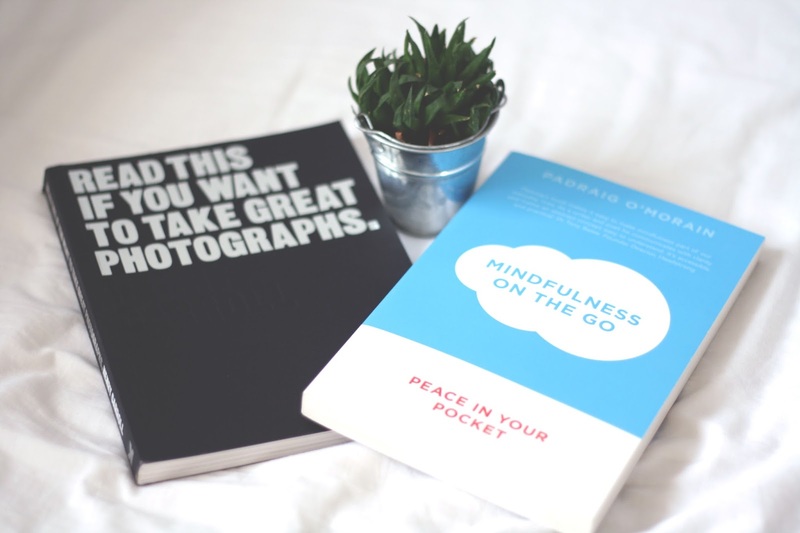 It is literally as the title says, mindfulness on the go. It also talks about why you should practise mindfulness & why its a really good thing to do. Its a very relatable book and I think can really help to open your eyes to the world of mindfulness. Admittedly I don’t practise being mindful on a daily basis but when I can I definitely try to be more aware and calm. If you’re interested in the topic of mindfulness or you’re unsure what it is and what to get into it, I suggest getting this book. Its very simple and easy to read and pretty much sums mindfulness up in a book. What two books would you recommend?